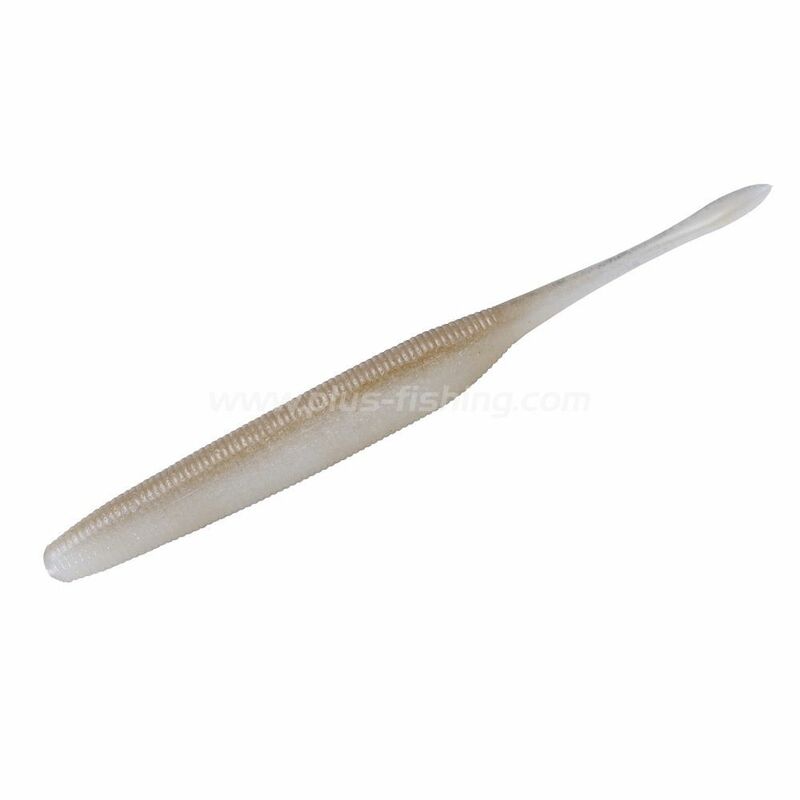 Dolive Stick is a high specific gravity stick worm that has two faces. One is straight worm seeking for ultimate performance as fallbait, the other is stick worm for twitching. Moreover, super lively action of another dimension was achieved in the respective uses. Weightless rigged DoLive Stick makes body rolling action and swings its tail when it falls. When this worm falls, this moves to the bottom as if it swims by itself like a real bait fish and it is totally different from normal shimmy action. By twitching, it darts right and left, up and down irregularly. Its original tail trembles every time it turns and that movement is almost like a tail kick when bait fish starts to swim. Head Hole Rigging - It falls slant and forward with big body roll and tail swing. 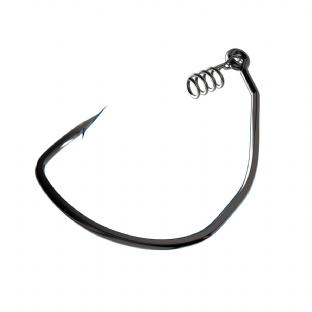 The escape action of DoLive Stick when it falls stimulates bass’s instinct very strongly. Tail Hole Rigging - It makes subtle body roll action and falls vertically swinging its tail. It works very well when we fish stake and reeds tightly. 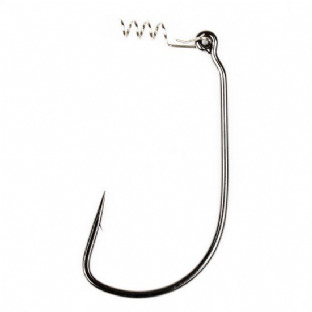 Middle Hole Rigging - The tail of DoLive Stick swings differently time to time when it falls and triggers bass’s bite.